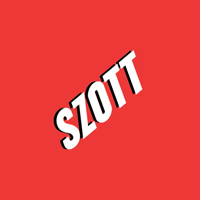 New Dodge, Ram Commercial Vehicles For Sale in Highland " "
If you’re looking for capable work trucks or commercial vans for your Commerce business, look no further than the Ram commercial inventory at Szott M59 Dodge Ram. We have a wide selection of models in stock, from the Ram 2500 to the Ram PROMASTER®, so whether you’re searching for towing power or cargo room, there’s sure to be a model that suits your needs. Unsure which Ram commercial model is the best fit for your business? Browse our commercial vehicle brochures to learn more about each model. Or, stop by our Highland dealership to see our inventory in person! Our sales staff will be happy to work with you and set up a test drive, so you can be sure you’re choosing the vehicle best equipped for your needs. While you’re here, consider enrolling in BusinessLink, our free small business program that offers numerous benefits. If you have questions or want to learn about valuing your trade-in, contact us today!